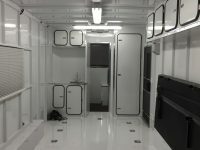 After you get your new to you TPD feel free to call bring it in and have it customized to your needs or just schedule it in for general maintenance. 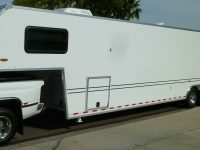 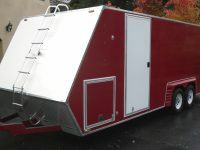 This portion of our website is to help people with pre-owned TPD Trailers hit a market/ crowd already looking for them. 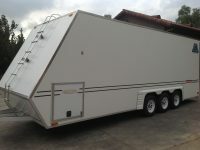 We are providing this as a courtesy to people who own a TPD Trailer. 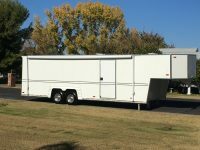 We have no affiliation with the people putting these listings up and we have no information on their trailer. 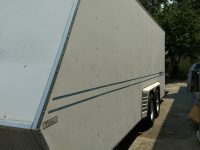 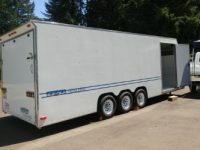 If you require information in regards to the trailer or price you will need to call the person posting the listing. 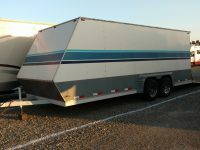 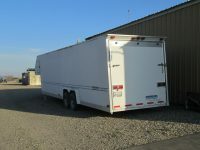 TPD DOES NOT SELL USED TRAILERS NOR DO WE HAVE ANY INFORMATION ON THE TRAILERS FROM THIS PAGE. 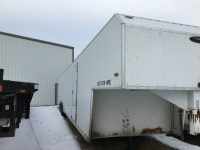 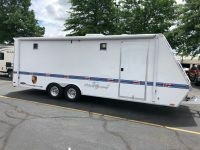 2011 TPD V-Nose Vortech Composite Stacker Trailer 8.5' x 27' Triple Axle Trailer is in excellent shape and has been stored indoors for most of its life with very little use. 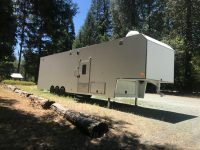 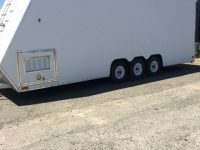 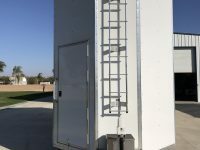 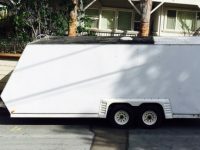 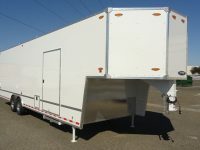 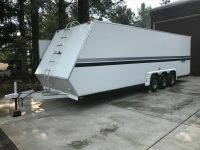 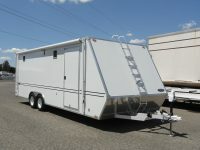 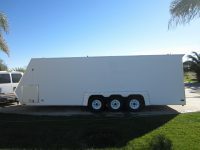 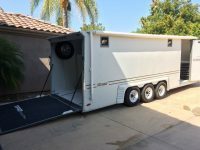 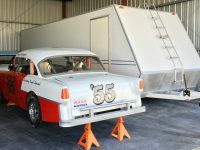 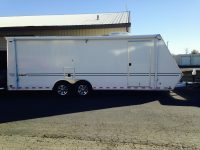 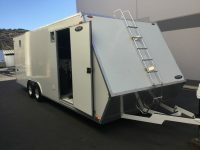 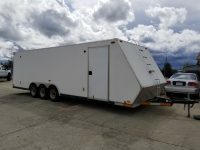 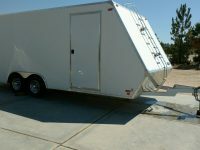 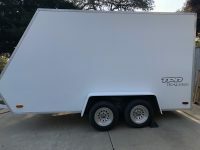 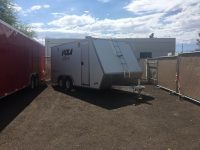 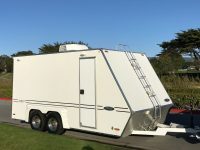 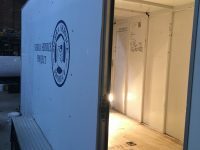 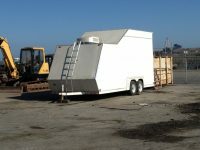 8x16 ft trailer, 7 ft. 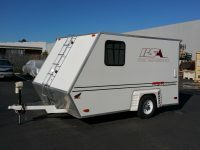 Interior height, z-tongue, 5 ft- Rec for motor homes, workbench w 2 doors, 6 drawer black ball bearing toolbox mounted in workbench, stone guard package (ATP), 6 ft wall cab w/ 3 swing doors and ladder to roof, 15" spare tire, motorcycle wheel chocks(detachable), L-track (multi-tiedown)medium duty, Jug rack wall mounted 5 space for square jugs. 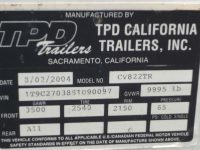 Early TPD (1993). 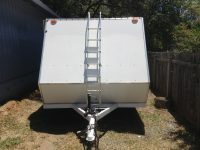 Ramp door has been rebuilt but rest of trailer is original and in good condition. 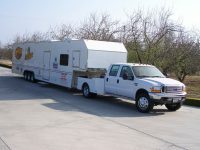 Very reliable, with annual servicing. 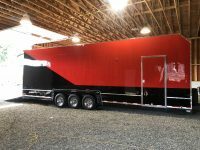 Wired for 110vac. 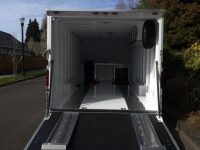 LED lights. 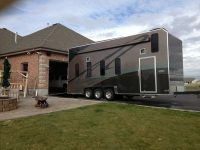 New brakes and bearings 3 years ago. 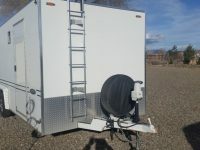 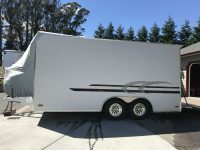 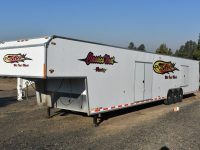 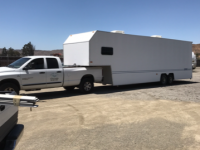 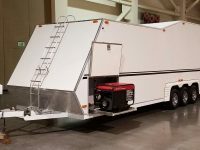 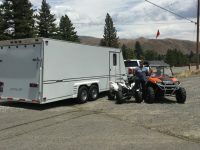 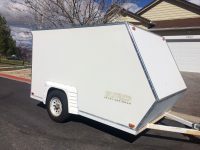 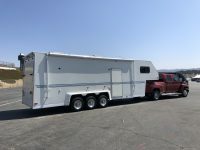 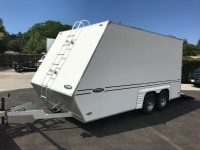 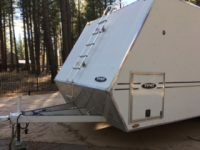 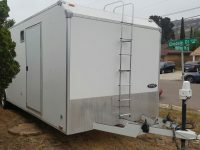 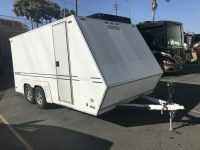 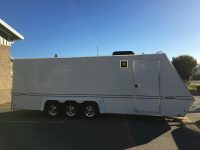 Great motorcycle trailer, fully set up lots ,of cabinets, SS ball bearing drawer tool box, lots of flush mount tie down points, fuel cell rack, full linex floor, aluminum wheels, Good Year tires, Z tounge, great for RV and taller vehicles, pulls very nicely. 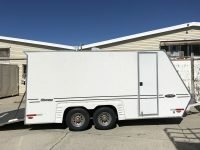 2004 Titan featuring: Triple axle, new tires, led marker lights, generator slide out, built-in cabinets, 12v interior lights, 115v interior lights and plugs with breaker panel, helmet shelf, drop down tire rack, oil/aerosol cabinet, fire extinguisher holder, pop up table, spare tire and recessed D-rings in floor. 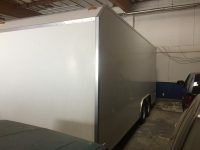 Trailer has been covered and is in excellent condition.